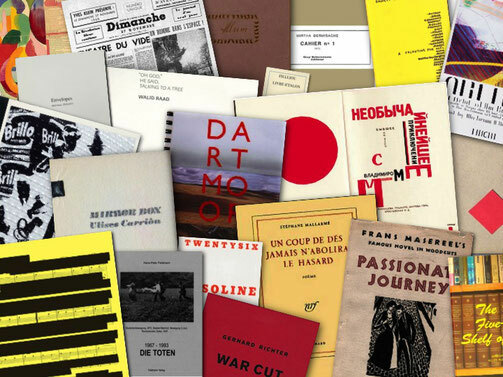 Since many years Maike Aden has been investigating, writing and teaching on artists' publications which include printed matter by artists (books, newspapers, magazines, postcards, catalogues, posters, photos, etc.) as well as multiples, video, films and sound art. 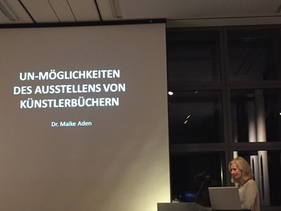 The theoretic work of Maike Aden is based on her hands-on experience she gained throughout her work on the reorganisation, documentation and representation of the archive of the former publishing house Guy Schraenen Éditeur. How to faciliate future access to the full diversity of artists’ publications in archival storages? 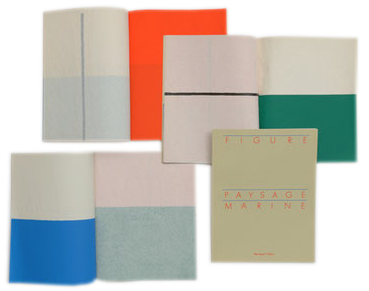 Artists’ books and all kind of artists’ publications are an increasing collection field of museum collections, museum libraries, documentation centres, archives and private collections. The unique and unconventional features of these art works pose major challenges regarding their classification, recording, placement, and relocation. Until today, the usual database systems are not fully satisfactorily adapted to this genre of art. Based on the professional expertise of decade-long collecting and curating, the ARTISTS' PUBLICATION KEYWORD DIRECTORY provides unambiguous, consistent and comprehensive cataloguing standards that are especially applied for the diversity and complexity of artists’ publications. The question in the foreground is the user who needs an effective search tool in hands for the retrieval of a work. To meet this objective, the directory is conceived as a glossary which provides both the definitions of the technical vocabulary and a concrete system for cataloguers to classify and record artists’ publications in their specific aspects as precise and straightforward possible. Its system of non-hierarchical groups of a standardized vocabulary provides a practical guideline to set up an online database which ensures, above all, access to the treasures of this genre of art which would otherwise stay undiscovered in well-protecting, acid free boxes on extensive shelves in filing cabinets of carefully tempered and ventilated archive cellars and library stacks. DE: Künstlerbücher werden nie zu den glamourösen Statussymbolen der prestige- und kapitalträchtigen Kunstszenen gehören. Ihre Untauglichkeit als exklusive Sammlertrophäe ist es, die ihnen den Status eines Kunstphänomens mit subversivem, widerständigem Touch eingebracht haben. So missverständlich, unscharf und vielleicht auch bequem diese Zuschreibung auch ist, eines hat sie zumindest bewirkt: sie hat dem Künstlerbuch - zumindest unter jenen Kunstakteuren, die sich eine Alternative zur herkömmlichen Kunstwelt der Superreichen und -mächtigen wünschen - eine beträchtliche Konjunktur beschert. So erfreulich es auch ist, dass diese vom Kunstbetrieb lange vernachlässigte Gattung endlich eine gewisse Aufmerksamkeit erfährt, um so herausfordernder ist es allerdings, die vielfältigen Phänomene und Konzepte des Künstlerbuchs sachgerecht in Ausstellungen zu vermitteln. 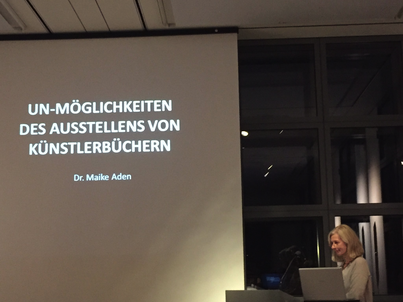 Denn das Buch an sich hat keinen musealen Ausstellungswert. Wird es allein als zu besichtigendes Objekt dargeboten, bleibt es abwesend. Erst wenn man es betastet, aufschlägt und darin blättert kann es lebendig werden. EN: Most books are not exactly what one calls a glamorous status symbol. For this reason artists' books will never enter into the prestigious and highly capitalized art scenes. But just this unsuitability as exclusive collector's trophy is responsible for the artists' book reputation as an art work with a subversive, critical and resisting touch. 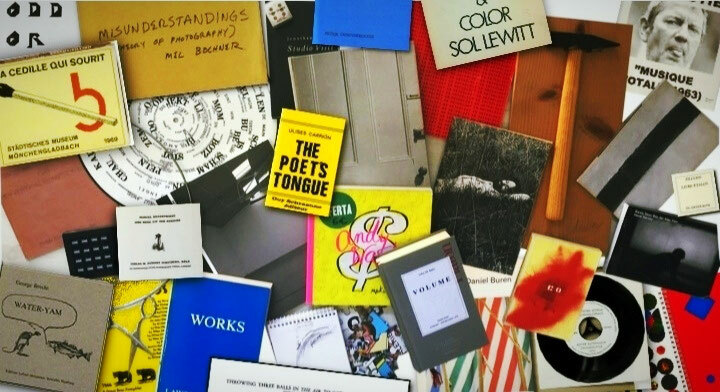 Even if these attributions are misleading and imprecise, they have created a considerable boom of the genre artists' book - at least among those who wish that there might be an alternative to the traditional art world with its super rich actors and its prevalent power structures. But as gratifying it is that these art works, which have been neglected by the professionals for a long time, finally are receiving some attention, the more challenging it is to provide a differenciated view on its varied phenomena and concepts. The reason is, that an important part of the artists' book history can't be adequately presented because the book itself, in particular the rare book, has no exhibition value. If it is shown in an exhibition, it remains absent. It is only when you feel and touch it and when you flip through it that it comes to life. "... this text should be understood as a passionate plea to visit artist’s book exhibitions! You will often find reading desks to look at artists’ books and secondary literature. 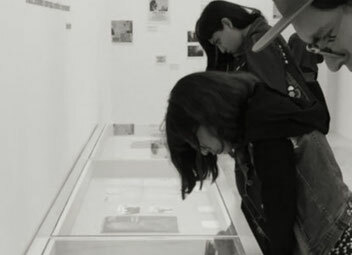 In addition to this, in museums or libraries with artists’ book collections, each of the exhibited book works can mostly be ordered – like in a graphic and print cabinet – to be carefully viewed in all its details. This fantastic possibility is offered at the Museum Reina Sofia, the national Museum of Modern and Contemporary Art in Madrid. Not only does the museum exhibit Picasso’s famous masterpiece, Guernica, and some extensive and excellently presented collections of the 20th and 21st century. But also a large and essential collection of published works of art is regularly shown in exhibitions.(...) As there is a huge number of impressive artists’ books which are presented in these artists’ books exhibitions I will restrict myself - perforce, but with a great pleasure - to the beautiful and interesting artists’ book-oeuvre of Bernard Villers, a Belgian painter, silkscreen printer, object artist, author and publisher (Editions du Remorqueur/Le Nouveau Remorqueur)..."
The current enthusiasm for artists' books shall be an occasion to give an insight into the diverse phenomena and concepts of "a century of artists' books". The access to a most wide variaty of artists' books within the collection is an ideal way of linking the theoretical discourse with a practical perspective to illustrate how these publications functioned in particular during the 1960s and 70S as art works which aimed to revolutionise the official art world by means of independent production and dissemination of affordable art works. Furthermore, the private collector Walther König and the director of the art and museum library Elke Purpus are invited to give insights into their great collections and rich experiences in order to distinguish the character of a public collection conducted with a scientific responsibility from a private one which is led by personal preferences and to explore the accessibility of artists' books today. EXHIBITION: "VINYL. RECORDS AND COVERS BY ARTISTS"
The exhaustive survey Vinyl. Records and Covers by Artists presents sound and art works by visual artists as well as by musicians and poets of the second half of the twentieth century. 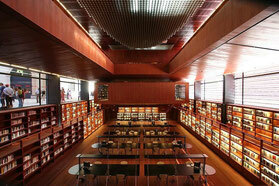 The exhibition provides all kinds of formats and media, located at the interface between visual and audible components. A selection of 300 avant-garde records can be listened to on the deck in the exhibition. 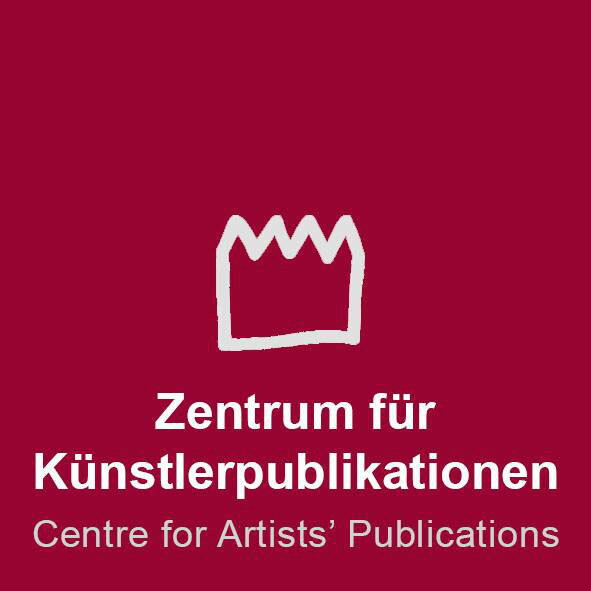 The Centre for Artists' Publications Bremen, the largest and most outstanding collection of published artworks in Europe, covers the areas collection and research, as well as exhibitions. Several exhibitions a year aim to present the different aspects of the evolution and dissemination of artists’ publications and to illustrate the diversity of this genre. The exhibitions cover insight into the archives, funds and collections of the Centre, country-specific surveys, comprehensive solo exhibitions, as well as thematical group exhibitions to all fields of published and multiplied art international.